FHA loan requirements include a maximum debt to income ratio. When a borrower applies for an FHA mortgage, they are required to disclose all debts, open lines of credit, and all possible approved sources of regular income. May 14, 2017 - FHA loan requirements include a maximum debt-to-income ratio. When a borrower applies for an FHA mortgage, they are required to disclose all debts, open lines of credit, and all possible approved sources of regular income. 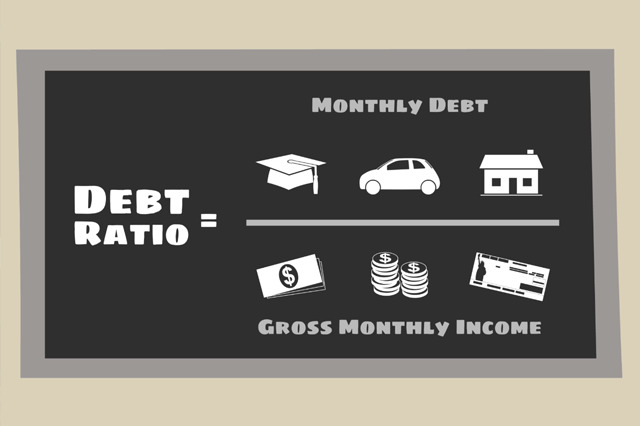 Using this data, the bank and the FHA calculate the borrower's debt-to-income ratio. How much can that ratio be? According to the FHA official site, "The FHA allows you to use 31% of your income towards housing costs and 43% towards housing expenses and other long-term debt." Those percentages should be examined side-by-side with the debt-to-income requirements of a conventional home loan. In many cases the borrower gets only 28% of the income to put toward housing, and 36% of the income to put towards housing expenses and other debts. Do these numbers seem unforgiving? The FHA does offer some flexibility in the debt-to-income ratio requirements under the right circumstances. An FHA loan applicant may be given some leeway with debt-to-income ratios when they have a large down payment, net worth that shows the lender's flexibility is justified, or the buyer has the ability to pay more because of a large savings account or other cash reserves. FHA guidelines also offer flexibility in this area for borrowers applying for less than the maximum FHA loan terms. Do you anticipate lower monthly housing expenses at some point? That can also change the debt to income ratio. Have a detailed discussion with the loan officer about these issues--you may be able to have the debt to income ratio re-calculated to get the loan you need.